In our previous tutorial we learned to fingerprint web application framework, today we will learn how to perform Penetration testing of MySQL database. As we are aware that most websites use MySQL database as their core database. It is necessary for every webmaster to perform basic pen testing of MySQL database in order to prevent his website from getting hacked by some malicious hacker. So friends, lets begin our penetration testing tutorial of MySQL database. This guide will be helpful for Hackproofing MySQL database. MySQL is an open source database but its regularly gets updates and new functionalities are introduced as part of every new version. But these new functionalities are also responsible for opening gates to attackers for performing their malicious tasks. Like Union and subquery functions were introduced in version 4.0x which resulted into union exploitation vulnerability SQL injection. Similarly version 5.0x introduced Information Schema and triggers functionality which resulted into multiple SQL injection attacks like extraction of database tables and contents, time base or trigger based sql injection attacks. So if a webmaster want to protect his/her website, he must be aware with new functionalities and their impacts and ways to protect their websites from vulnerabilities resulted because of introduction of these new functionalities. Note: Versions below 4.0 were also vulnerable to multiple SQL injection attacks like Boolean Exploitation SQL injection and time delay based SQL injection. Fixes were released for these but they haven’t patched it 100% as version above 4.0 are also vulnerable to advance version of these attacks. If you are using MySQL database then it’s must to take consideration how strings could be represented in a statement like single quotes. Under MySQL, there is a standard way to bypass the need of single quotes, having a constant string to be declared without the need for single quotes. Note: MySQL interprets escaped apostrophes (\’) as characters and not as meta characters. Now if we are doing filtering of single quotes we also have to keep in mind to filter is corresponding ASCII value and equivalent char() function. Some developers has a habit to writing multiple queries in a single line separated by semi-colon. MySQL library connectors do not support multiple queries separated by ‘;’ so there’s no way to inject multiple non-homogeneous SQL commands inside a single SQL injection vulnerability like in Microsoft SQL Server. Hence the resulting query will result into error. For example below injection will result into error and hacker can easily identify that your website is vulnerable to SQL injection attack. So always keep in mind before using multiple queries separated by semicolon. Above two points i explained are from developer perspective which is to be covered by Whitebox penetration testing approach. Now lets focus on black box penetration testing things, means how a hacker will figure out vulnerabilities in your system. Hacker’s primary step is to identify the database used by web application, that application is using MySQL or something else. Its very easy to identify the same as there is very interesting fact about MySQL comment mechanism. There are lot of databases which use /* */ for putting comments but only MySQL which interprets exclamation character (!) if its a part of comments. So if you want to avoid easy fingerprinting of your database, its recommended to sanitize exclamation character (!) from comments. After fingerprinting, hackers next task is to know the version of MySQL database as version can help them to explore known vulnerabilities within particular version. Comments Fingerprinting Mechanism : For example giving version with comments and exclamation character i.e. if(version >= 4.2.10)  add 'and 1=0' to the query. So in order to avoid this issue, its good to block sanitize keywords like version but sometimes we cannot do so as it is used by multiple inbuilt API’s. MySQL server supports two different types of users. User() : The one who is connected to the database. Current_User() : Internal user who executes the query. Both ways result into same output i.e. database name. In SQL version 5.0 , a new view named ‘Information Schema’ was created. It allows users(hackers or developers) to get all information about databases, tables, and columns, as well as procedures and functions. Schemata – This contains list of all databases that user has. SCHEMA_PRIVILEGES – It contains privileges that user has on each database. Tables – it contains all tables that database user has. Columns – contains all column names that user has. Table_privileges – contains privileges which db user has on each table. Routines – all procedure and functions user has. Triggers – list of all triggers in database. User_privileges – privileges current user has on database. There are much more but will cover them in later articles. That’s all for today friends !! If you have any doubts feel free to ask. Keep Learning!! Keep Connected!! How to Fingerprint Web Application Framework : Web Application Framework Fingerprinting is one of the most important task information gathering. Knowing the type of framework a web application is using will give a great advantage to hacker or penetration tester. Because once we know framework, we can easily locate known vulnerabilities in that framework. Most of the web frameworks are widely used by popular websites across the globe which help an attacker to spot them. This is basically what all automatic tools do, they look for frameworks used from a predefined location and then compare it to the database of known signatures. Note : This penetrating testing tutorial is also useful for CMS(Content Management Systems) along with WAF(Web Application Frameworks). Since we are focused on finding out the Web Application Framework used by a website or web application, it means we don’t have any information about what Web application framework is being used by website or web application. So we will be following Black box pen testing approach. So let’s begin with our Penetration testing approach for Fingerprinting Web application Framework. Lets discuss these one by one how we can use them to Fingerprint Web Application Framework. Lets start with HTTP Headers.. The most common way to identify Web Application Framework is to look for X-POWERED-BY or X-GENERATOR tags in HTTP headers as these tags contains information about frameworks. This approach might not have 100% success rate but yes in most cases it will help. In above example, you can see X-Powered-By is showing us PHP version and X-Generator is pointing that Swiftlet is actual framework. It helps a penetration tester or hacker to expand his attack vectors. When performing fingerprinting, always carefully inspect every HTTP-header for such leaks. Now lets move to Cookies..
Another similar and even more reliable way to determine the current web application framework are looking for framework-specific cookies. The cookie CAKEPHP has automatically been set, which gives information about the framework being used. You can google for list of common cookies generated for frameworks. Limitations are the same – it is possible to change the name of the cookie, so its success rate is also not 100%. Another way of fingerprinting web application framework is looking into HTML source code of website and looking for meta tags and other frameworks specific files. This technique is based on finding certain patterns in the HTML page source code. Often one can find a lot of information which helps a tester to recognize a specific web framework. One of the common markers are HTML comments that directly lead to framework disclosure. More often certain framework-specific paths can be found, i.e. links to framework-specific css and/or js folders. Finally, specific script variables might also point to a certain framework. Also you can look for meta tags which contains generator information. More frequently such information is placed between <head></head> tags, in <meta> tags or at the end of the page. Nevertheless, it is recommended to check the whole document since it can be useful for other purposes such as inspection of other useful comments and hidden fields. Sometimes, web developers do not care much about hiding information about the framework used. Now 4th way identify framework is looking for Specific Files and Folder. Specific files and folders are different for each specific framework. It is recommended to install the corresponding framework during penetration tests in order to have better understanding of what infrastructure is presented and what files might be left on the server. However, several good file lists already exist and one good example is FuzzDB wordlists of predictable files/folders. We can use WhatWeb tool to do all above steps. But that’s for script kiddie’s. That’s all for today!! Keep Learning !! Keep Connected!! Phishing is one the hacker’s favorite attack method that they use to hack login id passwords. Today we will learn Popular Phishing Techniques that hackers nowadays use to hack social networking sites or email passwords. In simple terms phishing is basically a method in which hacker uses Phish or fake pages or fake applications to capture the sensitive information from victim. Sensitive information can be userid passwords, bank account details, personal details, phone number, even verification codes that authorized services like Google and Facebook send to phones for verifying authenticity. In this tutorial, i will sharing 4 best phishing techniques that hackers use to trap a victim to own his social networking accounts or emails etc. b. A fictitious invoice which can be cancelled by clicking on a link requesting the user to provide her/his personal information. In most cases the messages sent by the phisher to the victim aims at collecting the personal information of the victim, including numbers of credit and debit cards. This information will be used by the phisher for transferring funds from the victim’s account to the phisher accounts. It is worth mentioning that often the phisher does not directly cause any economic damage to the victim, but merely resells the stolen information to third parties who commit the actual financial theft. It should be noted that even the social network accounts of famous persons could be impersonated and used for deceptive phishing. The content-injection social network phishing refers to inserting malicious content in social networks. The malicious content can often be in the form of bogus posts (e.g., tweets, posts in the Facebook feed or in LinkedIn feed) published by users whose accounts were affected with rogue apps. In many cases, the victims are unable to see the bogus posts posted by the malware apps on their behalf. The bogus posts, for example, may contain a photo of the account owner and the text: “I am in the hospital. If you would like to help me, please sign up by clicking on the following link”. When the victim clicks on the link, he/she will be requested to provide his/her personal data, which may be used by the phisher for committing identity theft and other scams. Sometimes a post may contain a malicious content and hoax text that requests the users to share the post. Phishers can easily insert phishing links in the hoax messages which may ask users to login into their accounts in order to share content or verify their account details. Malware-based phishing refers to a spread of phishing messages by using malware. For example, the Facebook account of a victim who installed a rogue Facebook app will automatically send messages to all the friends of the victim. Such messages often contain links allowing the receivers of the messages to install the rogue Facebook app on their computers or mobile devices. The best way to avoid the installation of rogue Facebook apps is to be very selective when installing any third-party Facebook applications. For example, Facebook apps developed by unknown developers that request access to extensive information should be researched thoroughly. One method often used by phishers to “seduce” the Facebook users to install malware to their computer is to promise them that the malware will enable them to see a list of people who visited their Facebook profile page. In some cases, phishing malware is enclosed in gaming apps for mobile devices. For example, a popular gaming app called “Cowboy Adventure” contained malicious functionality that allowed the app developers to collect Facebook IDs and passwords of the users. The app operates as a genuine app and the person who installs it may not even suspect that he/she installed malicious software on his/her computer. The app was removed from the Google Play Store. However, similar malicious apps may already exist on Google Play Store, Apple AppStore, and other app marketplaces. A man-in-the-middle social network attack, also known as social network session hijacking attack, is a form of phishing in which the phisher positions himself between the user and a legitimate social network website. Messages intended for the legitimate social network website pass through the phisher who can inspect the messages and acquire valuable information. Furthermore, the man in the middle can post phishing links on behalf of the victim. There are many online tutorials that provide instructions on how to hack Facebook using a man-in-the middle attack. The man-in-the-middle attacks are easy to perform because they consist of several easy to implement steps. In a typical scenario, the attacker performs the following steps: (1) the attacker lures the victim to a phishing site (e.g., a fake login page of Facebook) where the victim enters his/her username and password; (2) the phisher’s server uses the stolen credentials to enter the legitimate social network website and keeps the session open; (3) when the user logs off from the phishing website, the phisher inspects the account of the victim on the legitimate social network website and acquires valuable information which can be used for various criminal purposes, such as stealing money or coming identity theft. Use “HTTPS Everywhere” Browser Extension. That’s it guys! Social network phishing is a significant information security threat for both individuals and companies. 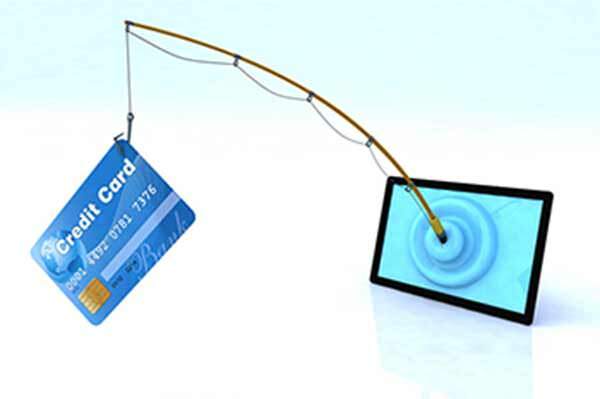 A large number of individuals have become victims of identity theft resulting from phishing attacks. Such attacks have caused severe reputation damage to many companies. There is a pressing social need for spreading security awareness about phishing. This article attempted to spread such awareness by examining the four most popular social network phishing attacks. The article also provides recommendations on how to avoid some of those attacks. Hope this helps. Keep Learning !! Keep Connected!! Lot of users has requested us to list down all different types of malware used by hackers to hack victims. So today i will list down all malware types and will give a brief introduction about each malware type. This is very useful Hacker’s Guide because every hacker or penetration tester must know all different types of malware that is being used by hackers. As a penetration tester we have to perform static and dynamic malware analysis for forensics and in order to perform this correctly we must be aware with each and every malware. For example, when malware imports networking functions together with functions to edit the Windows registry and compression functions, we could be dealing with spyware or a Trojan which executes itself or other malware at start up. In the simplest case of statically imported DLL’s you can use an application like Dependency Walker to find out which functions are used in malware. Further inspection of the DLL’s, functions, PE headers and resources should narrow the possible kinds of malware a lot. Let’s continue to look at the different kinds of malware available and what they exactly do. A virus is a malicious program which replicates itself into other applications, files or even the boot sector. A virus then can do anything it is programmed to like stealing information, log keystrokes or even render a computer useless. The defining characteristic of a virus lies in the self-replication and insertion of malicious code into other programs without user consent. Just like most other malware a virus is designed for seeking profit. A worm is a piece of malware that replicates itself in order to spread and infect other systems. Computer worms use the network, links, P2P networks, e-mail and exploit vulnerabilities to spread themselves. Often more than one wat is used to spread the worm. The difference with a virus is that a virus inserts code into other programs where a worm does not and replicates only itself. Worms do not necessarily contain a payload but most worms do. Worms can also be designed to only spread without a payload. A backdoor is a piece of malicious code which allows an attacker to connect to the infected target and take control of the target machine. In most cases there is no authentication required to log in the remote machine other than authentication methods required by the malware. A backdoor is often generated by a Trojan which goes unnoticed if the host has no effective detection mechanisms. Backdoors can use a lot of methods to communicate home. Also port 80 is commonly used by malware over the HTTP protocol because this port is open on most machines connected to the internet. We will discuss 2 kinds of backdoors; the reverse shell and the Remote Access/Administration Tool (RAT). A Trojan or a Trojan horse malware is a malicious program functioning as a backdoor. Just like the ancient Greek story of the wooden horse with Greek troops inside which was used to invade the city of Troy, a Trojan in computing tends to appear like a regular application, media or any other file but containing a malicious payload. Trojans are often spread through social engineering where the victim is fooled into executing the file or application with the Trojan. Most Trojans contain backdoors which can be used by the attacker to steal information, spread other malware or use the infected machine’s resources in a botnet. Literally anything is possible when infected with a Trojan which was installed or run with elevated privileges. Trojans have been around for a long time, a few popular Trojans are: Netbus, SubSeven or Sub7 and Back Orifice or BO in short. A Remote Access Trojan (RAT), or sometimes called a Remote Administration Tool or Remote Access Tool, is software which allows an attacker to take control of the infected host by the use of a backdoor. We’ll call it a Remote Access Trojan in this article to emphasize the maliciousness of this kind of RAT. We are talking about the malicious RAT’s and not the ones which are used by system administrators or software vendors for remote support and troubleshooting. Remote Access Trojans are often included with free software and send as attachment by e-mail. A rootkit is malicious software designed to conceal the existence of other malware. The concealed malware is often a backdoor to provide full access to the attacker or information stealing malware. Rootkits may be hard to detect and remove based on where the rootkit resides. Rootkits on firmware level for example may require hardware replacement and rootkits on kernel level may require a new installation of the operating system. Another dangerous and almost impossible to detect rootkit is the bootkit. The bootkit is a rootkit hidden in the boot sector that infects the Master Boot Record. This kind of rootkit is able to bypass drive encryption for example because the Master Boot Record (MBR) is not encrypted. The MBR contains the decryption software to decrypt the drive. A bootloader is a piece of codes which runs before the operating system does. Adware as malware is malicious software which presents unwanted advertising to the user. This kind of malware often uses pop-up windows which cannot be closed by the user. Adware is often included with free software and browser toolbars. Malware which is also collecting user data, activity and other information for targeted advertising is called spyware. A botnet is a network of remote controlled private computers with backdoors which are being controlled by a command and control server. All infected hosts in the botnet are controlled as a group and receive the same instructions from the server which is controlled by the attacker. Botnets are often used to send spam, to perform distributed denial-of-service (DDoS) attacks or malware distribution. A reverse shell is a connection initiated from the infected host to the attacker and provides the attacker with a shell access to the host. The reverse shell is often created by a Trojan and functions as a backdoor on the infected host. After the reverse shell has been set up the attacker is able to execute commands as if they were executed locally. There are a couple ways for malware developers to set up a reverse shell. Commonly used methods for reverse shells are Netcat and Windows cmd.exe packaged inside malware. A simple method used by malware using the Windows CMD to set up a reverse shell is to create a socket to establish a connection to the attacker and than tying it to the standard streams (standard input, output and error) for cmd.exe. The cmd.exe is than run with suppressed window to hide it from the victim’s view and can than be used to execute commands on the infected host. A browser hijacker is a piece of malware developed to control your browser settings like the homepage for example, or the standard search provider. Browser hijackers are often included with free software and browser toolbars and may also contain adware and spyware. Some browser hijackers also change your browser’s proxy settings which compromises your online privacy and safety. Downloader Malware is malicious software which downloads other malicious software. Attackers often infect a machine with downloader malware when they have gained first access to the system. The downloader malware than infects the target machine silently with other malware. Information stealing malware is a collection of malware types which are developed to steal information like credit card numbers, bank account details, account details and other personal information. The collected information is usually send to the attacker who often uses it to gain access to your personal account or to put it up for sale on the deep web. Information stealing malware often comes in the form as keyloggers, password (hash) grabbers and sniffers. The stolen information is often send to a command and control server for further processing. Keylogger malware is a malicious piece of software (or hardware) which records your keystrokes in order to retrieve passwords, conversations and other personal details. The recorded keystrokes are than send to the attacker. A keylogger is a very effective way for attackers to steal passwords because there is no need to crack hashes, decrypt information or to sniff secured connections for passwords. Technically speaking all malware which prevents a user from accessing the computer or files and demanding money in exchange for access is called ransom-ware. Ransom-ware often encrypts your hard drive or files and demands money in exchange for the decryption key. This kind of ransomware is also called a crypto locker. After infection the malware presents the user some payments methods which can be used to unlock the computer or decrypt the files. If the ransomware or crypto locker will actually unlock your hard drive or files, the decryption keys and payment are often controlled by a command and control server. Ransomware has become increasingly popular over time because it is highly profitable for malware developers. Especially ransomware in combination with anonymous payments methods like bitcoin are making this kind of malware very profitable and lowering the risks of getting caught. Popular ransomware malware is: Cryptolocker, Cryptowall and Tox ransomware which is known as the first ransomware as a service available for everybody through the TOR network. A launcher is a piece of malicious software which is used to launch other malware. This piece of malware is often combined with downloader malware. The launcher malware often uses stealthy and unconventional methods to launch other malware to avoid detection. Spam Sending Malware is malware which uses the infected machine to send spam. The spam sending malware might be part of a botnet controlled by a command and control server functioning as a distributed spam sending network. Because of the distributed approach there is not a single point of failure, if ¼ of the infected machines are cleaned the other ¾ will keep sending spam mails. Big botnets can send billions of spam messages per week and very often new malware is spread together with the spam messages. Spam sending malware can get you into trouble because ISP’s cut off your internet connection or you e-mail address can be blacklisted so be sure to remove this kind of malware as soon as possible. This type of malware is profitable for malware developers because they can sell the spam sending services. Scareware is malicious software which forces the victim into purchasing something by frightening him or her. You might call it blackmailing malware too since it often includes embarrassing viruses or files. The most common scareware malware looks like a virus scanner which has detected some viruses which will be removed after the victim has purchased the virus scanner. In reality only the scareware will be removed (hopefully). Scareware often uses scare tactics which will embarrass the victim to avoid that the victim escalates the problem to a system administrator at work or call in professional help for virus removal for example. Because of these tactics a lot of victims will pay for the software to have the virus or other embarrassing materials removed silently. Scareware or blackmailing malware is just like ransomware, very profitable for malware developers. That’s it Guys!! This is complete list of different types of malware’s a every hacker or penetration tester should be aware of. KEEP LEARNING !! KEEP CONNECTED! !